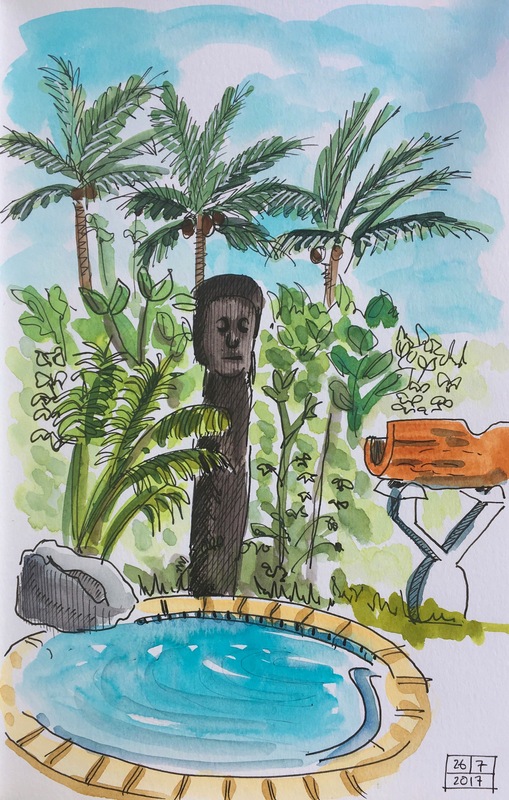 We have spent four very relaxing nights at the Bedarra Beach Inn in Korotogo, Fiji. The hotel looks out over a lagoon on the Coral Coast. 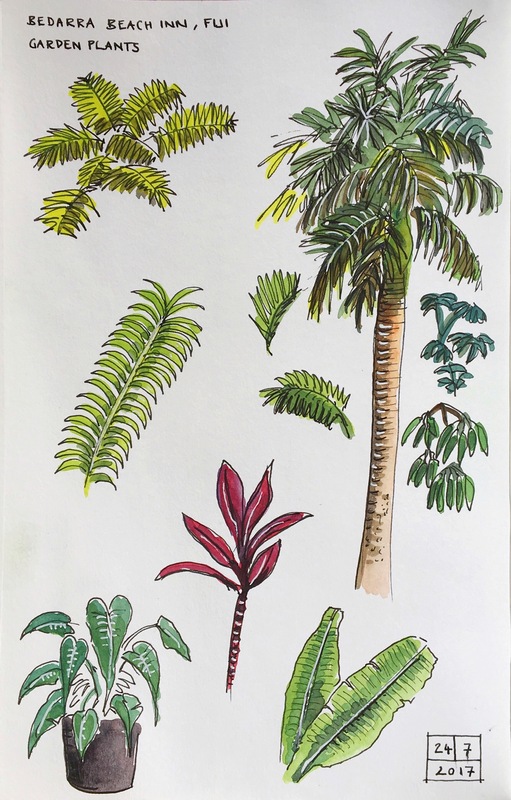 I had fun sketching the local plant life and the scenery around the hotel. Looks like a great spot. 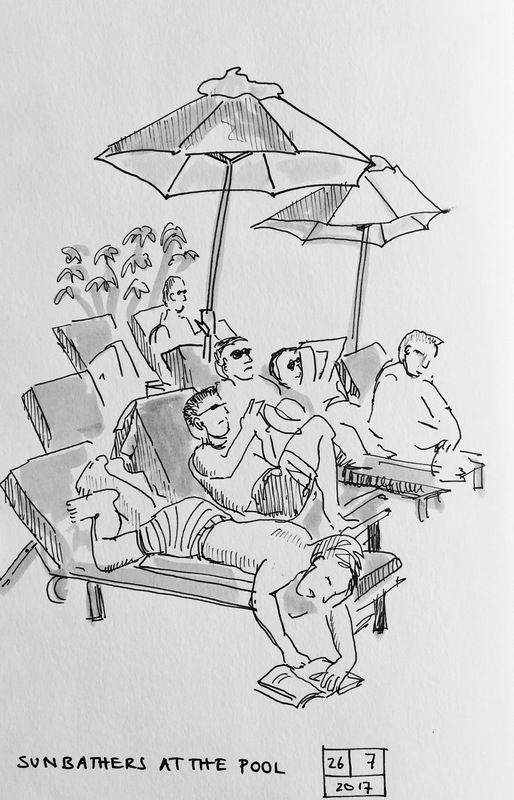 I especially love the sunbathers. You have a lovely simplistic style that belies the obvious talent and training. There’s something ‘zen’ about it, you capture the moment (oh gods, I’m babbling again) and I wish wish wish I could do it. Good luck, and don’t stop~! 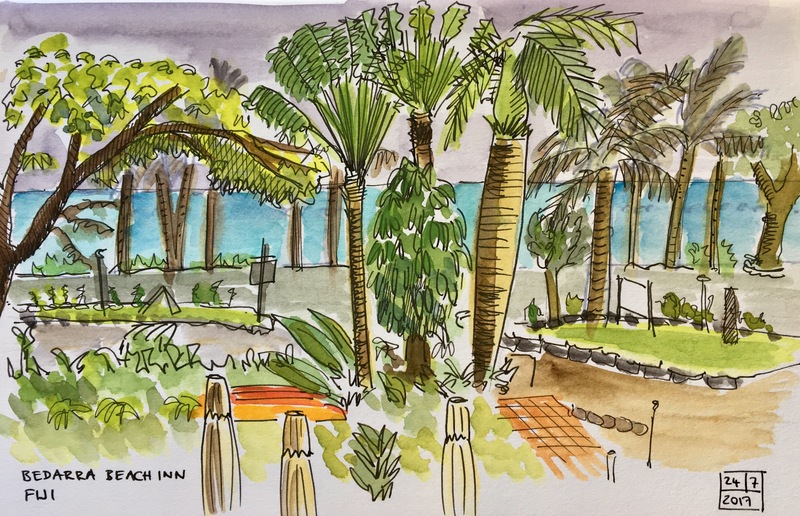 Pingback: Bedarra Beach Inn — Tabitha’s sketchbook — С любовью к людям! Great sketch pages. Are you using water colour or washes of colour Ink on these. Thanks! Yes, ink lines and watercolour.